For smoother chair entry, lock your wheels before sitting down. This will keep your chair from moving underneath you as you try to settle into it. Not only do seat belts help keep you in your chair when you encounter unexpected bumps—they also promote a healthy and balanced posture while you ride. Footrests are designed to keep riders’ feet out of harm’s way, and using them can further improve rider comfort. To keep your wheelchair from sliding, it is essential that your chair is securely strapped to the floor whenever you are in a moving vehicle. Vehicle occupant restraints should also be used to prevent ejection in the case of impact. If you have a power wheelchair, turn it off whenever you are not moving. Even if you are just stopping to say “hi” to a friend you passed on the sidewalk, you could inadvertently bump the control panel and set your chair in motion if the power is still on. 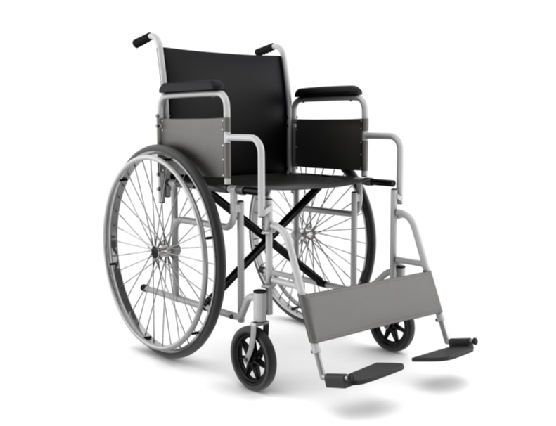 Regardless of whether your mobility is impaired temporarily or permanently, you should familiarize yourself with the basics of wheelchair safety before you start using your chair. If you wish to make your home or office easy to maneuver with the installation of wheelchair lifts or ramps, Williams Lift Company can help. Call (908) 322-7070 to speak with a supplier of wheelchair lifts and handicap ramps today.